Dear North Miami Beach Police: #UseMeInstead | formations. // living at the intersections of self, social, spirit. Last week, I was scrolling through my Facebook newsfeed and came upon a photo of a clergy colleague in her clerical collar. She had posted the photo to an event called “North Miami Beach Police, use our pictures for your target practice.” I had heard about how the North Miami Beach Police Department has been unapologetically using photos of real-live local Black men for target practice and was disgusted. Turns out that some Lutheran clergy had organized an effort, #UseMeInstead, and were encouraging clergy to send photos of themselves to the police to be used instead of Black people. I decided to participate. When I took the photo of myself and prepared to post it, I felt embarrassed to note that I felt vulnerable. I sat with that feeling for a few minutes. I prayed about it. I decided that the only way we’re going to get anywhere is if many of us actively choose vulnerability. And I noticed how unfair it is that I get to CHOOSE vulnerability. I pondered how the Black residents of Miami must feel – how unsafe, how vulnerable, how angry – and how that was not their choice. It was just an injustice forced upon them. That’s not right. It’s not right that I get to choose whether to participate in this small way when others are regularly violated against their will. As I hit post, I said a prayer that God would always help me find a way to choose vulnerability over perceived safety. Greetings from Kansas. I want to say thank you for your willingness to take on a difficult job in our society. Committing your life to protecting and serving the public is not an easy task. I am guessing you feel weary of what seems like an attack on your profession. I hope you are able to find a way past that initial feeling to see that we are all doing our best to make this a safer society for everyone – and that includes you. A society that truly values and respects all lives will be safer. I am astonished and horrified to learn that you have been using photos of Black people – some just teenagers! – for target practice. We know that racism is learned and that, over time, our brains become hardwired to make choices that value some lives more than others and fear some types of people more than others. Shooting at the faces of Black people over and over again is allowing the insidious evil of racism to take up residence in your heart and mind. DON’T DO IT. If you are a subordinate, have courage – refuse to participate. If you are in a position to make changes, do so – expect more from your organization than this. If you must continue to use photos of real human beings for target practice, please ‪#‎UseMeInstead‬. Blessings on you. You are in my prayers….prayers for courage, understanding, strength, and safety. The Rev. 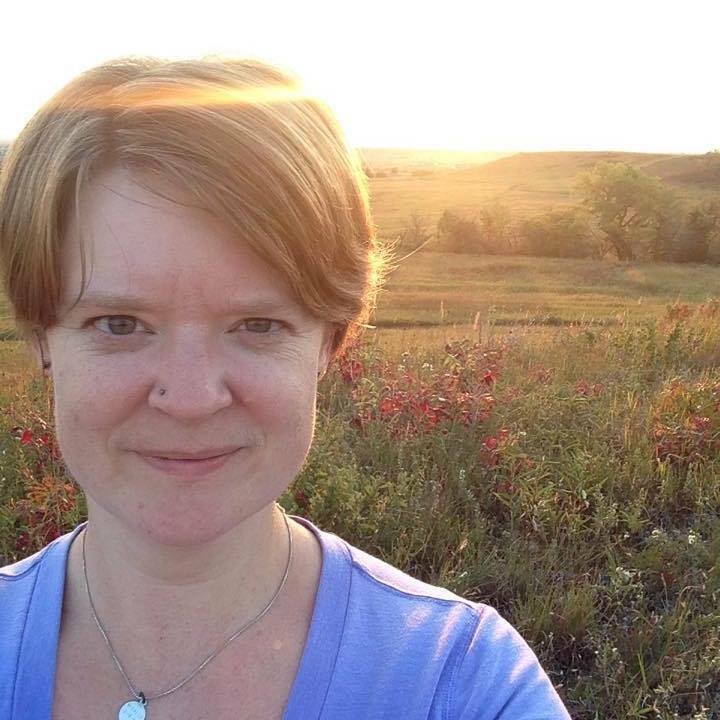 Caela Simmons Wood is pastor of First Congregational UCC in Manhattan, KS. Caela is passionate about understanding and confronting systemic injustices, especially relating to race, sexuality and gender, economic inequality, and environmental stewardship. Caela enjoys cycling, hiking, cooking, and reading everything she can get her hands on.